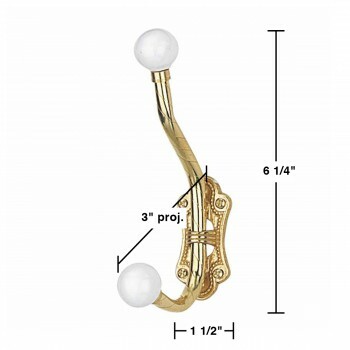 Is a unique & hard-to-find Victorian reproduction? Features an authentic period look with porcelain knobs? 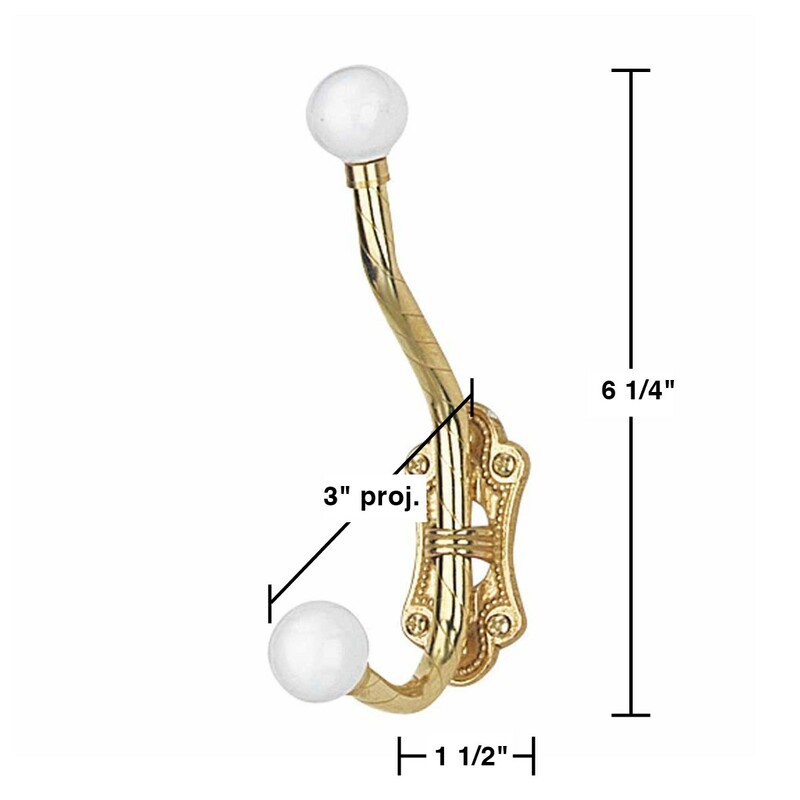 Item 23027 Knobbed Double hook is 6 14 high and has a projection of 3 with a polished brass finish.